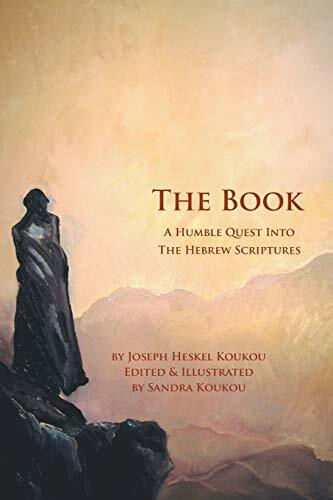 JOSEPH HESKEL KOUKOU was born in 1924 in Basra, Iraq. At ten his family moved to Isfahan, Iran, where he learned Persian poetry and the art of calligraphy. Throughout his entire life, he would recite Persian poetry, an art form considered amongst the richest the world has seen. Joseph Koukou married Evelyn David in Teheran and had three daughters and a son. An active member of Teheran's Iraqi Jewish community, he supervised financial aid for students to the Ettefagh School, which, along with an adjacent synagogue, was built by his father, Heskel Abraham Koukou, a man widely known for his dedication to the Iraqi Jewish Diaspora living in Iran. He had a successful manufacturing business in the auto parts field which was confiscated during Iran's 1979 revolution when he became a "guest" of Ayatollah Khomeini's revolutionary guard in Iran's notorious Evin Prison. Faith was integral to Koukou during his time in Evin. While there he narrowly escaped execution at the hands of the Islamic Revolutionary Court, which had confiscated his factory in 1980 and seized the family assets all in the name of Allah. With the abrupt loss of a world he had striven to make and with the constant threat of death hanging over him, it was only his faith in God that sustained him and kept him alive. Upon his escape from Iran in 1986, Joseph made Great Neck, New York his home until he passed away in 2012. The Hebrew letters 'kaf' and 'vav' form the family name, Koukou. Formerly Ghazal, the new name was decided upon by the author's grandfather, a textile merchant in Baghdad. The total numeric value of those letters adds up to twenty-six, which is identical to the numeric value attributed to the Hebrew word for God. Was the choice of name based on this understanding? Was this understanding Joseph Koukou's inheritance, a gift of faith that sustained his life?